Congress must vote to block Trump’s Muslim Ban. Now. It’s time for the legislative branch to stand up to Trump’s Muslim ban. Sen. Chuck Schumer pushed to overturn President Trump’s executive order temporarily banning certain Muslim travelers to the U.S. on Sunday in New York. A tremendous amount of attention has been focused since Friday on the judicial response to Donald Trump’s broad immigration ban, and rightly so: Five reviewing courts have now enjoined some component of his executive order and presumably more will follow. Federal courts in New York, Boston, and elsewhere have already restrained the administration’s attempts to detain and remove people with lawful refugee or immigrant status because they come from certain Muslim-majority countries. These courts have courageously and correctly ruled that the executive order as applied to these groups is likely to be unconstitutional. But the judicial branch is only part of the story. We cannot rely exclusively on our courts to check the exercise of abusive power. It is time for Congress to step forward and repeal or limit the administration’s outrageous executive order. For our elected representatives to hang back and hope the courts sort it out eventually would be a dereliction of constitutional duty. 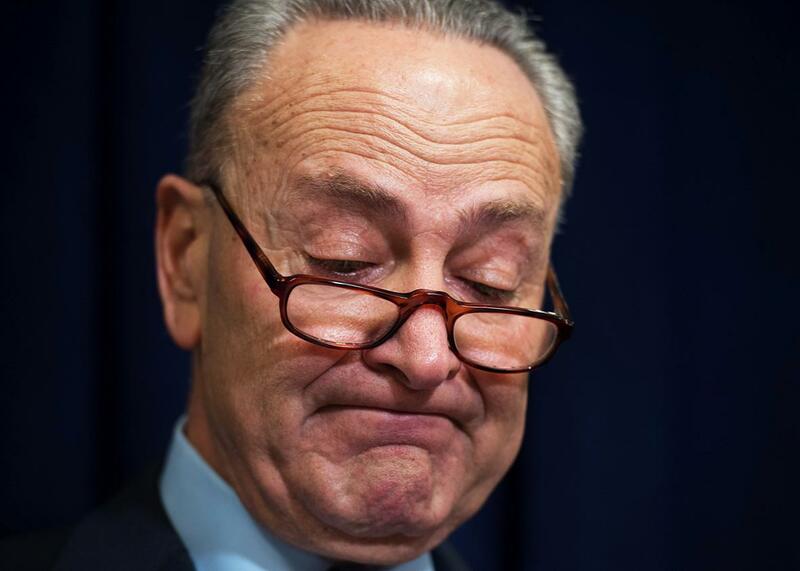 Indeed, Senate Minority Leader Chuck Schumer announced over the weekend that Democrats are already preparing legislation that will stop Trump’s executive order from going into effect. Congress has the power, the responsibility, and the legal and moral obligation to stop the president’s abuse of power. It must act to repeal the executive order for the same reasons that the courts are doing so and protesters are at airports around the country opposing it: because the order rests on religious, racial, and ethnic bigotry, because it damages American leadership in the world, and because it is contrary to the values we hold dear as a nation. Does Congress actually have the power to nullify the president’s sweeping executive order? The law emphatically authorizes nullification. It was, after all, Congress that first gave the president the authority to impose orders in this area (though not unconstitutional ones). The federal statute that discusses aliens and nationality, 8 USC 1182(f), authorizes the president to suspend the entry of aliens into the U.S. if he finds their entry to be detrimental to the national interest. Having granted the executive branch that power, Congress can readily revoke it. To nullify the executive order, Congress need only pass legislation saying that the executive order, or particular provisions of it, “shall not have any legal effect.” Congress would then also have the duty to override any presidential veto. This is hardly a radical proposition. Congress used such means to repeal executive orders before. For example, in 1974, when President Richard Nixon used executive orders to impound federal funds that Congress had already appropriated across a range of departments and agencies, Congress moved to stop him. Finding that the president had abused his statutory power to impound funds, Congress enacted the Budget and Impoundment Control Act of 1974 to permanently eliminate presidential authority to do this. Just as Congress had an obligation to limit an impermissible presidential expansion of power with Nixon, so too does Congress have a responsibility today to check the outrageous use of power by this president. In addition to nullifying this specific order, Congress has a wide range of options when it comes to limiting the president’s power in this arena. For example, Congress could limit the grounds on which any such future immigration executive order is applied. It could enact legislation prohibiting, for example, any reference to religion either as a basis to exclude or to prioritize refugee admissions. (Trump’s current executive action would prioritize Christian refugees from certain countries over Muslims.) Congress could also make judicially reviewable the factual findings on which the administration bases such future orders, forcing the president to produce factual evidence to courts to support its designation of countries and the more general need for a ban. Congress could also restrict the suspension to, say, 30 days and then require the administration to submit a request to Congress for authority to extend the suspension beyond that limited period, or simply require the president to submit a request from the beginning. For those wondering whether there are a sufficient number of upstanding congressional representatives to get such legislation passed, it’s time we found out. Few GOP members openly support the order. Most of the GOP leadership has until now remained silent or tried to take a neutral position. For example, Senate Majority Leader Mitch McConnell said Sunday that while he was personally opposed to a “religious test” on admissions, it was best left to the courts to resolve the issue. Still, others like House Speaker Paul Ryan expressed support on Friday for Trump’s action. But increasingly, members of the GOP are stepping forward to express their opposition to the arbitrary exclusion of well-vetted refugees and immigrants who pose no risk to national security. Sen. Lamar Alexander of Tennessee has noted objections to the ban. Sens. John McCain of Arizona and Lindsey Graham of South Carolina released a joint statement calling the ban “a self-inflicted wound in the fight against terrorism.” As of now, at least 20 Republicans in the Senate and House have objected in varying degrees to Trump’s executive order. The lack of GOP support for the order no doubt can be traced in part to the fact that the White House failed to consult broadly across agencies and officials. Trump spokespeople who insisted they had consulted when drafting the order have now been contradicted by the officials themselves. Even before Sen. Schumer’s legislation comes to a vote, each and every representative should step forward to declare his or her position on repealing or modifying the executive order. In addition, members of Congress should delay the vote on Jeff Sessions for attorney general, now pending in the Senate, until there is reason to believe that Sessions and the administration will conform their actions to constitutional constraints. Congress has the power to stop the administration’s capricious decision to target law-abiding, hardworking and upstanding immigrants and refugees in a way that endangers the country’s national security. Congress has an obligation to restore order from chaos. Beyond arguments about the law, the strongest arguments against this executive order are political arguments: This order is deeply immoral, contrary to our values of inclusiveness and religious toleration, and plain bad policy. We are endangering our military and insulting crucial allies. The American people must also hold its representatives to account. Congress should not get a free pass if it does not check the administration’s expansive anti-Muslim bias and demonstrable constitutional overreach. Nothing in the Constitution suggests that the courts act alone to check the executive branch. If our elected representatives will not meet their constitutional responsibility to keep the president in check, we must demand an explanation. And we, in turn, must exercise our responsibility as citizens to hold our representatives accountable. If we believe the executive order does not reflect our constitutional and moral values, we must call and write our elected officials, assemble in the streets and in airports and in town halls, and challenge those representatives who remain silent or who support this horrific overreach of presidential power. If Congress does not do its duty , then we must do ours, and hold them accountable, today and next Election Day.